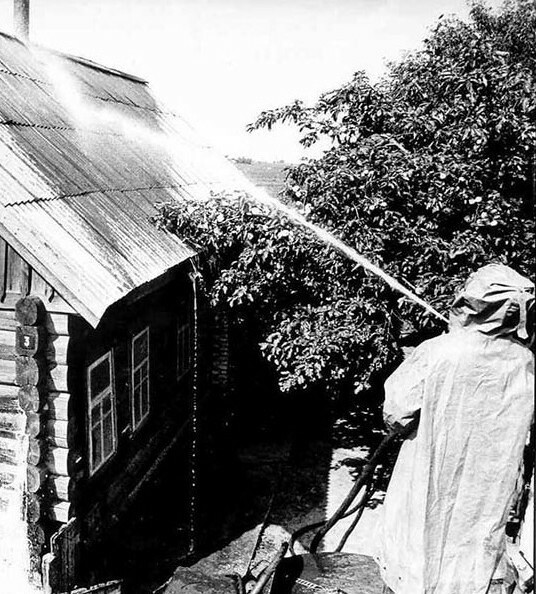 Seven hundred thousand men were conscripted into the Chernobyl area to “liquidate” or “blot out” the released radiation from the Chernobyl Nuclear accident. The selfless efforts of these “liquidators”—miners, soldiers and firemen—are unparalleled in history. Sacrificing themselves, they prevented a potential nuclear explosion that could have killed hundreds of thousands across Europe. Forty thousand died of these men died in once decade, and a further 70,000 are now disabled. Hailed as heroes in 1986, they are now discarded and forgotten, their ill health dismissed by the authorities as being unrelated to their exposure to extraordinary levels of radiation and the lack of adequate safety precautions. ‘We were told not to have children for five years because of our work. How do you explain that to your wife or girlfriend? Most of us didn’t and hoped we’d be all right. We had to remove the top layers of soil and load it up on trucks.I thought the burial dumps would be complicated engineering places but they were like open pits, not even lined with anything! We lifted out the topsoil in one big roll like a carpet with all the worms and bugs and spider inside! But you can’t skin the whole country; you can’t take everything that lives in the earth. The bravery and courage of the liquidators saved Europe from a very serious nuclear catastrophe. April marks the 30th anniversary of the Chernobyl disaster. We ask you to take a moment to remember their sacrifice.